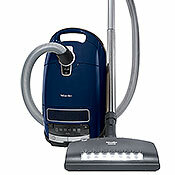 View our complete selection of Miele vacuum bags and replacement filters. 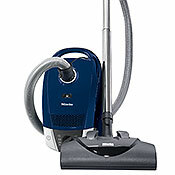 Miele vacuum cleaners enjoy an enviable reputation and are not content with anything but the best. 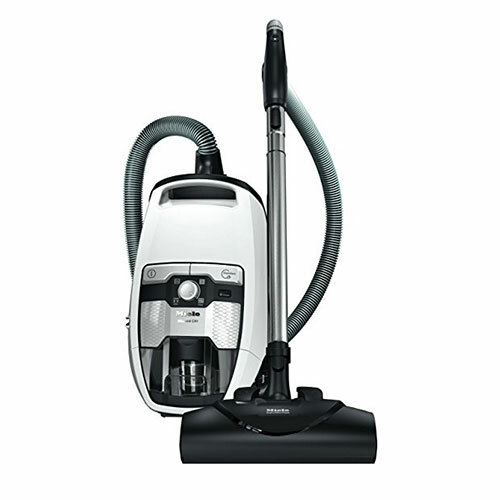 Great for allergy suffers, Miele vacuum cleaners sets the vacuum standard with excellent HEPA filters in a sealed body so no allergens escape, large high efficiency fiber vacuum bags, fingertip controls for suction control, exceptionally easy swivel action and noise reduction. 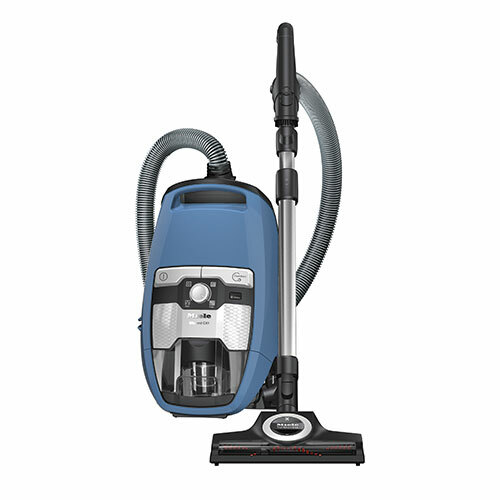 Miele offers both upright vacuums with heads which swivel and turn, as well as their more well know canister vacuum cleaners. The C2 & C3 canister series are sealed systems that retain 99.99% of particles at 0.3 micron in a testing environment at IBR laboratories. 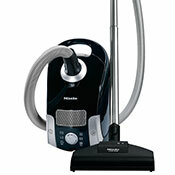 We have tested and reviewed all of our Miele vacuums and recommend them highly. 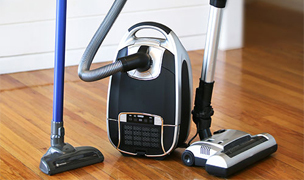 If you need help choosing which Miele is right for you, check out our Miele Vacuum Cleaner Complete Overview Comparison Chart. 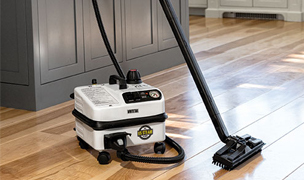 Miele Vacuum Cleaners are one of the best vacuums you can buy and for over 100 years, Miele has provided the highest product quality including durability, reliability, and peace of mind. Miele Vacuums are made in Germany and Miele strive to satisfy their customers by providing them with a vacuum cleaner of the highest quality and tested durability to make their lives more comfortable. 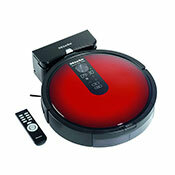 All Miele vacuums carry the Good Housekeeping seal of approval. 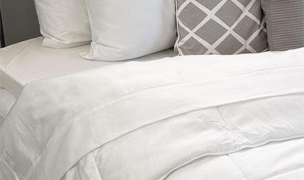 Bags - The Miele's Airclean filter vacuum bags consist of 9 layers of electrostatically charged material and they are equipped with a self locking collar keeping dust in the bag, not leaking back into the room. 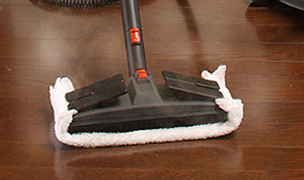 A spring-loaded collar traps debris when transporting the dust bag to the trash. 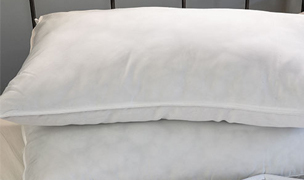 The layered special fabric of this dust bag has many advantages including longer suction performance and 15% improved filtration. Furthermore, an impact foil prevents sharp edged objects, such as pine needles, glass, and sand from penetrating the bag. Sealed Construction - Miele vacuums offer a true sealed system, where each individual compartment is sealed with one continuous rubber gasket thus ensuring all air is filtered with no unfiltered air leaking into the home. 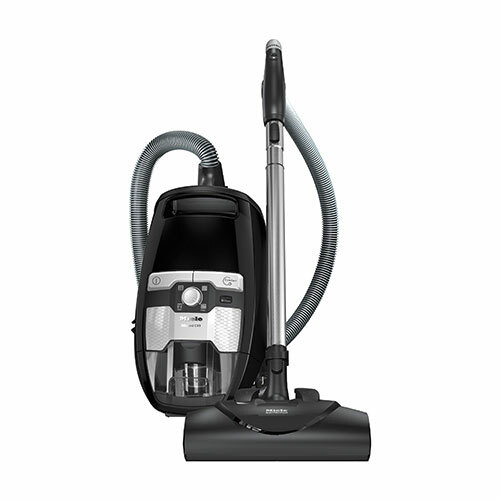 The result is 99.99% of fine particles to 0.3 micron remain inside your Miele vacuum cleaner. Motor Quality - A powerful 1200 watt vortex motor made by Miele in Germany offers superior, quiet performance and a warranty of 7 years. 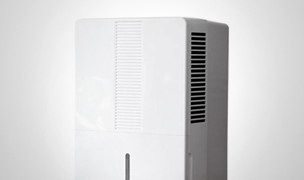 It utilizes an optimal usage of power through the airflow with the result being great cleaning performance with superior dust intake. 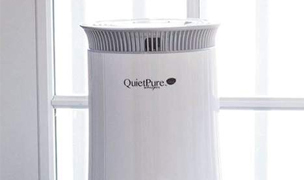 It is sculpted to allow the lightest and smallest motor that takes up the least space while still providing strong suction and airflow. Only the best materials are used including copper, steel, aluminum, and plastics. 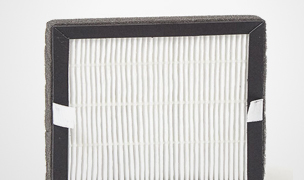 Filter Quality - The Miele Air Clean-Filter System is made up of the Intensive Clean Plus dust bag, the motor micro filter, and an air filter. 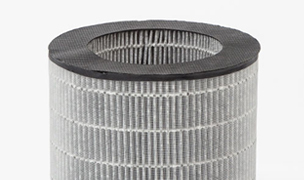 A selection of high quality filter cartridges including a certified HEPA filter is included or optional on all models. 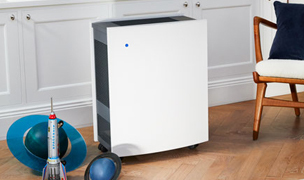 The active HEPA Filter offers maximum air hygiene, especially suggested for those with allergies. 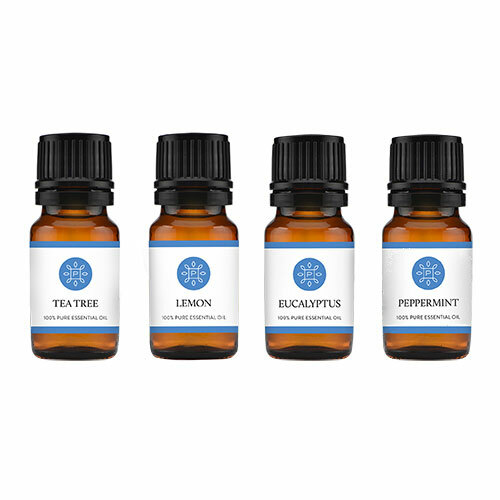 Additionally, a charcoal layer neutralizes odors. 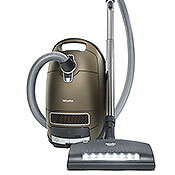 The result is high efficiency and effective air cleaning; the best the vacuum cleaner industry has to offer. General materials used in construction for durability - Miele vacuum cleaners are made to last up to 20 years as Miele uses the best raw materials available including ABS plastics (same as football helmets) and eco friendly and PVC bumper materials. Quiet Operation - All Miele vacuums are known for their quiet operation, but a special sound insulation makes the S5 series particularly quiet. 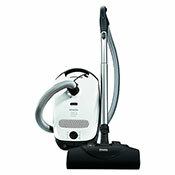 A special sound insulation and silence settings provide ideal power for the best cleaning results. 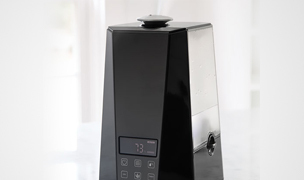 The new silence setting combines the lowest noise output with the ideal power level for optimum cleaning results. 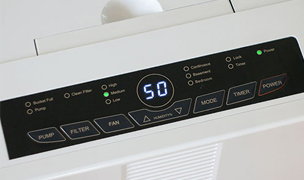 Thermal cutoff - A thermostat prevents Miele vacuum cleaners from overheating, so for example when an object becomes clogged in the passage and blocks airflow, the vacuum will switch itself off and an indicator will alert you to this problem. Overall quality of construction - Miele vacuum cleaners are built to withstand the rigors of everyday cleaning year after year. 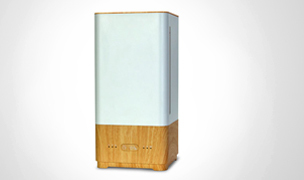 Precision crafted with highgrade components and eco friendly materials. 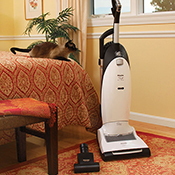 Vacuums undergo endurance testing before and after assembly to ensure it meets their high standards. 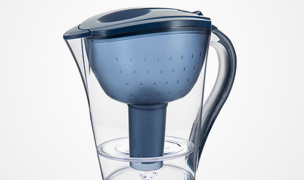 Before any production process begins, all components are put through rigorous tests and subjected to enormous strain; stress that exceeds typical residential household use. All parts are tested to simulate 20 years of use. Purposeful Design - Attention is paid to every curve, angle, and line, ensuring effortless movement and optimal performance. Form follows function. 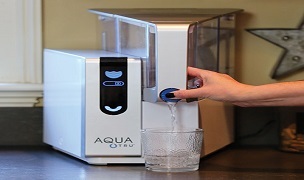 Skillfully crafted to provide easy operation and remarkable efficiency. Clip System - Each section of the wand, the hand piece, and the floor tool is firmly connected by Miele's unique locking system and cannot, therefore, separate unexpectedly. Each piece can be easily released by depressing the latch. 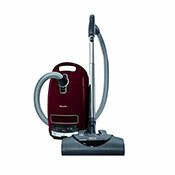 Most Miele canister vacuums house a fully integrated tool compartment for on-board storage. Tools are always on hand when you need them. 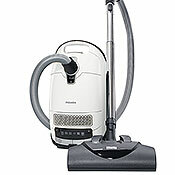 Miele vacuum cleaners have a convenient park system where for short breaks the wand and floor tool can be inserted into the park system on the back of the canister. Also, this allows you to answer the door or the telephone without having to rest the wand assembly against a wall or furniture where it could potentially fall causing damage or on the floor which could be unsafe. On selected Miele models, when the park system is used, it also switches off the vacuum motor saving you time if you are interrupted. 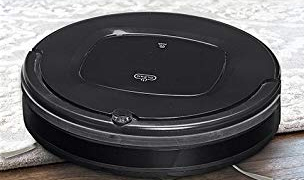 Miele vacuums maneuver very well with their three-point steering that includes three smooth running 360 degree castor wheels mounted on steel axles to ensure maximum stability. 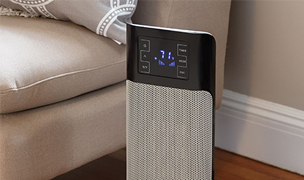 The Capricorn, Leo, and Earth Miele vacuum models provide a HEPA filter change indicator to alert you when it is time to change it to ensure that optimum filtration is maintained. An intelligent Automatic Setting is available on the Miele Upright and Complete C3 Marin models. 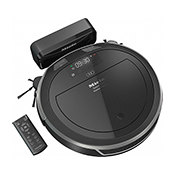 When it is selected the power level of the vacuum cleaner adjusts automatically for the best performance for the particular floor surface. The guesswork is eliminated. The Parquet Twister Floor Brush SBB 300-3 comprises a mixture of polyamide and natural hair to ensure a proper and safe surface for your tile, wood, and other smooth surfaces so they can be cleaned both effectively without harming them. 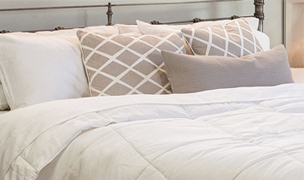 Choice of power brushes depending on the amount of carpeting or area rugs in your home and their pile. 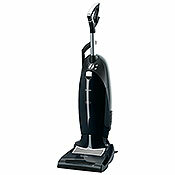 The SEB 217 medium power brush is fine for light to medium pile carpeting or if you have mostly bare floors. We recommend the SEB 236 full size power brush for medium to high pile carpeting or if you have mostly carpeting in your home. This power brush allows you to adjust the height of the brush to 5 different positions to maximize your cleaning depending on the thickness of the carpet or area rug. 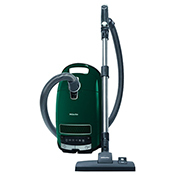 Vacuuming is more enjoyable with the new ergonomically designed comfort handle that rests easily in your hand. 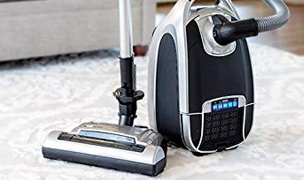 There is a durable bumper strip made from soft plastic that surrounds the canister vacuums to protect both the furniture and the vacuum. The telescopic adjustment on the wand allows you to shorten or lengthen your reach due to your size to eliminate any back strain. 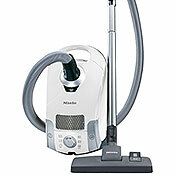 There is a six level power adjustment on the Miele Vacuum so you can adjust the suction depending on the surface. 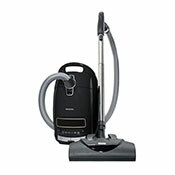 The Miele C3 Calima Vacuum provides the ultimate of full suction control at your fingertips.